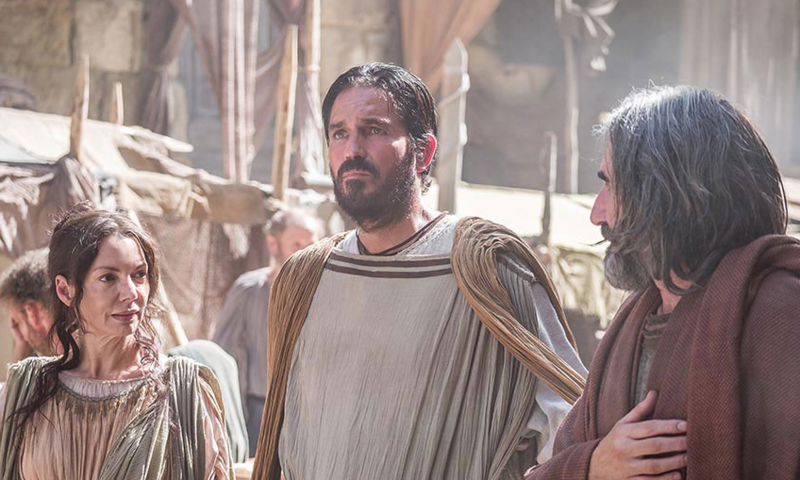 A richly portrayed film called Paul, Apostle of Christ is coming to a select number of theaters in Utah on March 23 for three days only. It is the story of Luke, as a friend and physician, who risks his life when he ventures into the city of Rome to visit Paul, who is held captive in Nero’s darkest, bleakest prison cell. But Nero is determined to rid Rome of Christians, and does not flinch from executing them in the grisliest ways possible. Before Paul’s death sentence can be enacted, Luke resolves to write another book, on that details the beginnings of “The Way” and the birth of the church. Bound in chains, Paul’s struggle is internal. He has survived so much—floggings, shipwreck, starvation, stoning, hunger and thirst, cold and exposure—yet as he waits for his appointment with death, he is haunted by the shadows of his past misdeeds. Alone in the dark, he wonders if he has been forgotten…and if he has the strength to finish well. @Mark I'm not sure it's realistic to think that through hours alone in a dark prison cell facing execution that Paul would just stay totally positive and filled every moment with the good news of the Gospel. He never wavered in his belief in the movie. Even Nephi who had the faith to see a vision of Jesus would later say, "Oh wretched man that I am!" The Lord remembers our sins no more, but that doesn't mean we don't remember. It's part of being in a fallen world that we might not be able to be perfectly consistent in our feelings. Peter had the faith to walk on water and still denied Christ at the crucial moment. Likewise, I imagine Paul had his troubled times and why wouldn't they be while he was imprisoned? And in terms of the Christians, I appreciated that they struggled. It was a time when they were literally being fed to the lions for their beliefs. I think overall the things you name as being downfalls of the movie are actually the primary reasons that it worked for me. I appreciated the raw exploration of what it would be like to be an early Christian who had never personally known or seen Christ facing such serious persecution. I think if they had glazed over the difficulties it would've been kind of silly film. I don't think it was perfect by any means, I think it was a little slow in the beginning and the structure could've been a little tighter, but assuming that everything should've been brighter and simpler seems like it flies in the face of the reality of their time. This movie fails where it ought to shine, namely, in the theology. This mythical Paul isn't what the scriptural Paul was, namely a positive advocate of Christ and his mission. In this dark movie, Paul has many painful flashbacks of his Saul of Tarsus day that murdered Christians, and is plagued by the dead he sent to early graves including Stephen and a young girl. And during the movie this inaccurate Paul constantly says there's enough Grace of Christ for all of us. Yet, there isn't enough Grace for Paul to allow him peace? For despite him having a wonderful conversion to Christ's Good News (Gospel) that when you seek forgiveness Christ will forgive and though your sins be as scarlet they will be white as snow. Paul did gain forgiveness and Christ's mercy forgave Paul so it was as if he had never sinned -- "I'll remember them no more." So this Paul is nothing like the joyous Paul who rejoices in Grace that forgave him. Otherwise...what's the point of Christ??? On top of that, nothing in the movie speaks to the wonders of being a Christian. These dreary Christians in Rome only have fear...no peace any more than Paul has peace. Instead they talk with gloom and doom. Christianity is all about hope and love. The one chance to have Christian influence is when Luke is called on to save the Roman's child from certain death. Yes, Luke saves her, but only through his skill. His esteemed faith has nothing to do with this and he leaves no faith at the doorsteps of the pagan Roman. What a blown opportunity of a movie. And next time, can the director turn on some lights on the set. What a dreary movie.